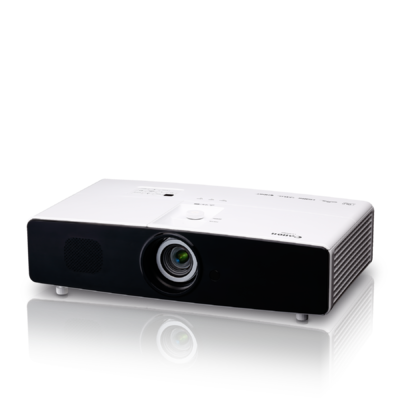 The LX-MW500 Projector provides the versatility and performance ideal for a variety of industries/applications including education, corporate, and house of worship. 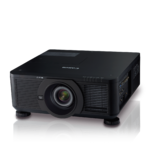 With a high brightness of 5000 Lumens and contrast ratio up to 3750:1* , WXGA (1280 x 800) high resolution, Digital Light Processing (DLP) technology, along with a range of flexible image quality adjustments helps ensure that images will display deep blacks with depth and dimension while colour output remains strong, even when viewed in various lighting conditions. 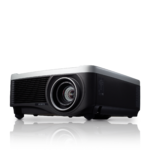 The LX-MW500 combines a range of impressive image quality adjustment features such as the BrilliantColorTM system, which uses advanced colour processing algorithms, and 6-Axis Colour Adjust to help ensure realistic rich colours with enhanced brightness. To optimize image quality this model also features five image modes to choose from - Presentation, Standard, sRGB, Movie and DICOM (for medical presentations), along with two User settings for creating custom image mode settings. A compact size of (W: 18.3" x H: 4.8" x D 10.3"), along with advanced optical functions including a wide throw ratio (1.12-1.8:1), Manual Vertical Lens Shift and Corner Adjustment offer additional installation flexibility. Connections are comprehensive including two HDMI inputs (one HDMI supports MHL) as well as a built-in HDBaseT receiver. Network management options include Crestron Connect, AMX Device Discovery and PJLinkTM. 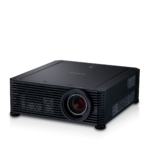 This projector is also capable of displaying 3D content via the DLP-Link System, and include a built-in 10 W speaker. 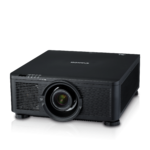 The LX-MU500 is backed by the Canon 3-Year Projector and Lamp Limited Warranty (120 day lamp coverage), and the company’s award-winning %100 US based Professional Service & Support which includes a 3-Year Advanced Warranty Service Exchange Program and a Service Loaner Program.